Set to go live from February 1st 2016, the new Wakefield smart motorway will boost travel times and tackle congestion for travellers across West Yorkshire. The first week of the new travel scheme will introduce a mandatory maximum speed limit of 50 mph for all road users, as the new technologies that relay data to the team managing the new smart motorway are tested. After this point, variable speed limits and active lane management will be used as standard between junctions 39 and 42 of the M1, with an extra lane having been added to the carriageway in this area to further bolster capacity. Highways England project manager Tsuwun Bevan said: "Smart motorways are already proving successful in other parts of the country and we have now reached a stage where we can open the last section of the M1 between junctions 41 and 42. 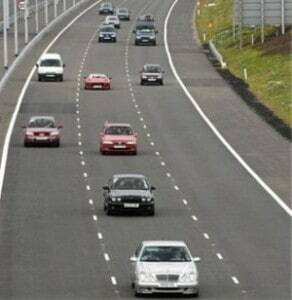 "By opening this extra lane it will help to reduce congestion during peak times for drivers by providing four lanes to ease the flow of traffic." Contractors will monitor the performance of the new smart motorway section of the M1 over the coming months, with plans in place for scheduled maintenance of the new technology to take place later this year. Further information on all smart motorways schemes currently in operation across the country, and those in the pipeline, is available online at the Highways England website.